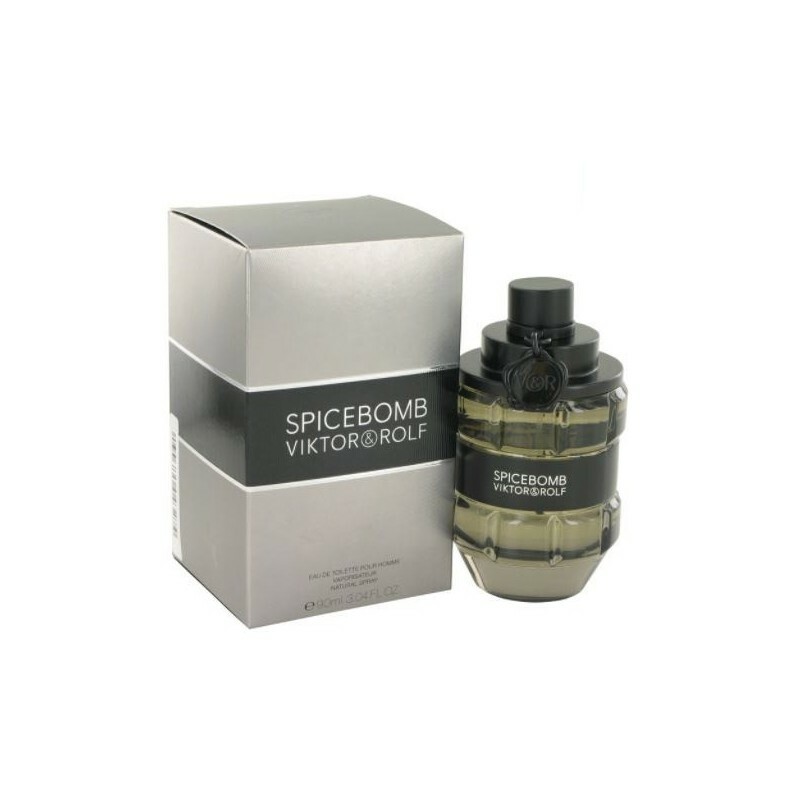 Spicebomb Cologne by Viktor & Rolf, Spicebomb was set off by viktor & rolf in 2012 . A superb male challenge to the feminine fragrance called flowerbomb that had been brought out by the same brand. Deep, intriguing and commanding, the fragrance brings out the male adventurer in you. At once chilly and heated, you can well imagine yourself bathing in the heat of a sauna or sliding down an icy waterfall. Which woman could resist your superb allure with such an irresistible aura? indeed, no woman could. Fragrant, inviting, woodsy and freshly cool, the perfume sways from chili to pink pepper. Get ready to inhale this elusive fragrance that incorporates the fiery notes of chili, saffron, leather, tobacco and vetiver and the combustible bergamot, grapefruit, elemi and pink pepper. All products are original, authentic name brands. We do not sell knockoffs or imitations.